What to See and Do: see an AD1100 Mississippian Indian mound, experience the 1751 French Fort Toulouse replica and nearby replicas of Creek-style houses, explore a partial recreation of the earthworks of the 1814 Fort Jackson, enjoy our recreational facilities, and bird watch on the William Bartram Nature Trail. Fort Toulouse/Fort Jackson Park is an official site on the Piedmont Plateau Birding Trail. 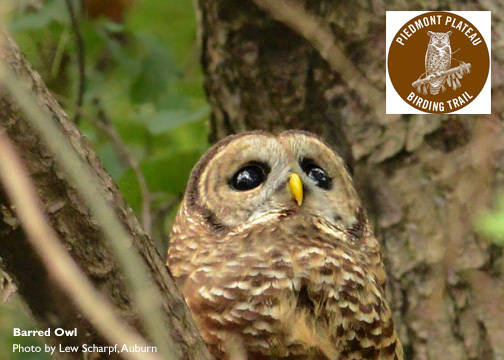 Learn more on the Alabama Birding Trails website. The gift shop, located inside the Visitor Center, carries a selection of souvenirs and books on Creek Indian, French colonial, and early American history. There is also a 39-unit RV campground with select sites for group camping and a boat launch on the Tallapoosa River. For more information on camping at Fort Toulouse please call 334-567-3002. The park grounds are accessible to individuals with physical disabilities but there are areas of rough terrain. For more information please call 334-567-3002. Visitor Center: 9:00 am - 4:00 pm, Monday- Saturday.